If you live or work anywhere near the Stillwater, Enid or Guthrie areas, it is worth the 30 minute drive to Vance Chevy Buick GMC in Perry, Oklahoma to shop for your new or used Chevy Silverado 2500 truck. We pride ourselves on our small town friendly service with a big city inventory. It is our goal to help you find the perfect heavy duty work truck that fits your particular needs. 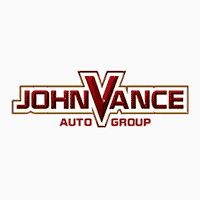 Vance Auto Group has been successfully serving Oklahomans for over thirty years. We have nine full service dealerships which gives us a ton of preowned inventory to choose from. Our Chevy dealership is in Perry, OK where we sell new Chevy Silverado trucks from. We love to get people in both new and used Silverado 2500 trucks. The Silverado 2500 is designed to get the job done. It works hard like you do. This truck is engineered to do any challenging job. It looks good on the outside, works hard and is comfortable on the inside. It can haul motor homes, farm equipment, construction tools, crews and boats. It works hard and plays hard. It can be customized for your needs to make it a perfect fit for your commercial or personal truck. It has a hill start assist that holds the brakes to keep the truck from rolling back on a hill when you switch from the brake to accelerator. Enjoy extra control at high speeds with enhanced steering, stability and maneuverability. There’s a Tow/Haul Mode which automatically adjusts the transmission to reduce shift cycling when towing or hauling heavy loads or driving steep grades. It is equipped with StabiliTrak that controls trailer sway. As soon as it senses trailer sway, it begins applying trailer and truck brakes to bring it safely back in line. The Silverado 2500 has high tech Driver Assist tools and a rear vision camera to aide in backing and hitching a trailer. As hard as the Silverado works for you, you can step away from the work in a comfort-loaded interior with a 7 or 8” color touchscreen, Chevy’s Infotainment system at your fingertips, USB ports, available 110 volt outlet and charging pad, firm foam seats and a quiet cabin engineered with sound deadening materials to make for a quiet ride or to slip inside and make a few phone calls. Discover much more about the Chevy Silverado 2500 by calling one of our friendly reps, shopping our website or best yet—visit us in Perry, Oklahoma where we know trucks!